Krakow is one of the oldest cities in Poland. It has existed since the Stone Age, and has been a cultural and economic center throughout the ages. In 2000, Krakow was named European Capital of Culture. You will want to visit Old Town, which has been designated as a UNESCO World Heritage site since 1978, and traverse the Royal Road, the traditional coronation route taken by kings of Poland. 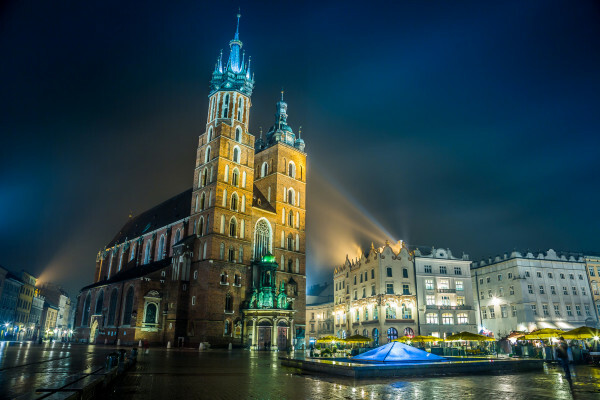 Krakow boasts Renaissance, Gothic and Baroque buildings, and visitors must take the time to see the variety of museums and churches with their rich history of stained glass, paintings, sculptures, furnishings and architectural details. For a true Polish dining experience, make sure to also visit the Introligatornia Smaku Restaurant. The atmosphere is delightful and the mouth-watering entrées melt in your mouth. Reservations are difficult to get for dinner, but it is possible to make lunch reservations.